Speaking with a young woman today, I heard a story I have heard far too many times. This woman had been sexually abused as a child by a relative, but didn’t say anything out of fear and embarrassment. This relative went on to molest other children in the family until someone finally spoke out. I’ve spoken to many individuals in the past who were molested by a family member and didn’t say anything not only out of fear and shame, but also because they thought that as long as the molester was perpetrating on them, he would leave their younger brothers, sisters or cousins alone. In essence, they figured they would suffer through the abuse so that others wouldn’t have to. The sad part is, in all of these cases, the molester went on to molest other children in the family anyway. In one case, there were three sisters all getting molested by the same uncle and neither knew about the other. All three reported that they didn’t say anything because they thought they were protecting the other sister from the abuse, not knowing that the other sisters were doing the exact same thing. It was only when this uncle, after years of abusing these sisters, abused another member of the family that he got caught and is now serving time in prison. By then at least four family members had been abused over the period of several years. We teach our children to be cautious of strangers. We believe that the greatest threat to our child comes from outside of our homes and inner-circles. 1 in 4 women, and 1 in 6 men report being sexually abused as a child. Over 90% of sexual abuse is perpetrated by someone the child knows, loves and trusts. Family members, family friends, teachers, religious leaders and coaches are some of the biggest offenders. There are many families who have this type of secret, and some will even tell their children, “Stay away from uncle Bob” because they know they have a perpetrator in their family who for one reason or another is still around. I even worked with one family who hid their family member’s pedophilic activity, partially out of embarrassment and partially out of a family’s natural response to try to protect each other. This family member went on to molest at least three children before being sent to prison. As adult survivors of childhood sexual abuse will tell you, there are many reasons why children will endure sexual abuse for years, some for a lifetime, without telling soul. For one, children aim to please. They want to make someone they love and trust happy and are often willing to do whatever the person tells them to do. Abusers also often coach their victims not to tell anyone. Sometimes this is done with threats of violence towards them or other members in their family. Other times it is done with the threat that the child themselves will get in trouble if they tell. Shame, embarrassment and confusion along with countless other feelings and thoughts can keep a child from telling anyone about the abuse. Most survivors of childhood abuse I’ve spoken to waited until they were were in their late teens or adulthood before they felt ready to share what they experienced as a child. Many reported that they were afraid that no one would believe them. We have to teach children the difference between a secret and a surprise. That may sound too simple, but as a start, it is very powerful. Teach them that a surprise is supposed to be about something fun, such as a birthday gift or special party for a friend. Teach them that secrets are something kids shouldn’t keep to themselves, especially secrets that involve touches of private body parts or anything that makes the child feel uncomfortable. Encourage your child not to keep secrets from you. Tell them that touches to private body parts should never be a secret. Let them know that if someone tells them to keep a secret, especially someone older than them (including older/bigger kids), they should tell you or another trusted adult immediately. If a friend tells them a secret, let your child know they should share it with you (the other child could be asking for help). Let them know that it’s never their fault if someone touches a private body part and they will never get in trouble if they tell. Abuse of all kind (i.e., physical, sexual, emotional and neglect) flourishes under the veil of silence. It’s beyond time that we break that silence. Content warning: This post deals with eating disorders and may be triggering for some readers. 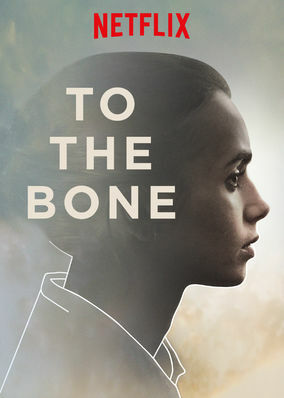 To The Bone is a new Netflix original movie about a 20-year-old woman, Ellen, who suffers from anorexia nervosa and ends up in a group recovery home for individuals with eating disorders. The official trailer is included at the very end of this post. Just like with 13 Reasons Why, there is a ton of controversy surrounding the appropriateness of this film. Many individuals, including many mental health professionals believe that this movie is very dangerous because they believe it will glamorize eating disorders. Some are even calling for Netflix to take the movie down. Once again, just like with 13 Reasons Why, the majority of these individuals have not even seen the movie yet. Their fears however have some legitimacy. Research suggests that it’s triggering for those who already have an eating disorder or who are struggling with unhealthy thoughts surrounding eating, body image and weight issues to watch other people displaying eating disorder behaviors, even if it’s a story of hope and recovery. With that said, I do not think that those individuals should watch this movie. If you are someone or you are the parent of a child or friend of someone who is suffering from an eating disorder, I do not think this is a movie you should watch with them. Watch it yourself for sure, as I believe the movie gives some great insight into what it’s like to suffer from an eating disorder, but do not watch it with them in hopes this will be a great conversation starter between the two of you. It could possibly do more harm than good. There are definitely some images and events in the movie that can be triggering to certain individuals, such as the main character herself who is scary thin, to the calorie counting and food avoiding behaviors displayed throughout the movie. Banning this movie however I do not agree with because it is just that, a conversation starter. It’s a movie that needed to be made. My only issue with the movie is that Ellen, played by British actress Lily Collins is scary thin. This in itself can trigger individuals who already have issues with their body weight or have an eating disorder. For the movie she had to lose a lot of weight to look the part of a very unwell young woman. Although she reports that they did it in a healthy way with the help of a dietician, I still found it alarming that anyone would subject someone who already has a history of struggling with eating disorders, to losing so much weight and then this almost skeletal person is the main character that millions of viewers, some of who will be susceptible to triggers, have to watch on-screen for two hours. As I watched the movie, before I did my research, I couldn’t tell if she was really that thin or if it was some tricks of the camera or make-up, but upon learning that she actually had to lose such a large amount of weight to play her character, it was just a bit unsettling. I’m not sure if this film could have been done any other way. Unless I missed it, the one thing I don’t think the movie did a good job on was differentiating between anorexia nervosa and bulimia nervosa. People tend to think that the only difference is that those with anorexia nervosa severely restrict their calories while those with bulimia nervosa eat and then purge (vomit) in order to control their food intake. However, there are two types of anorexia nervosa. One is the restrictive subtype that is more of what people are familiar with. They rarely eat, count calories religiously and may use laxatives, but usually do not purge. The second subtype is the bingeing and purging subtype. These individuals are more like those with bulimia nervosa as they will binge (over eat) and then purge their food. The main difference between the two is that individuals with anorexia nervosa have a difficult time maintaining the minimal amount of weight considered healthy and individuals with bulimia nervosa are usually at a healthy weight or even overweight. While anorexia nervosa and bulimia nervosa are the two eating disorders people are most familiar with, other common eating disorders include pica, binge eating disorder, and avoidant/restrictive food intake disorder. Most eating disorders last 6 to 8 years which is a large part of someones life. While body image, food and weight loss are generally the focus of an eating disorder, they usually aren’t the underlying causes. Issues that may trigger eating disorders include a history of abuse or trauma, bullying, parent relational problems, low self-esteem, personality disorders, substance abuse, difficulty dealing with conflict, genetics and feeling as if they have no control over their lives. Millions of Americans suffer from disordered eating and they’re not all thin, young white girls. People who suffer from eating disorders come in all shapes, sizes and ethnicities from the rail thin to the morbidly obese. I worked with a 10th grade Haitain-American girl, along with another therapist who specialized in eating disorders as well as a dietician for two years. She struggled with anorexia and it was some of the most difficult work I have ever done. Eating disorders, just like most mental health disorders, are always hard and uncomfortable topics to discuss and many people would prefer to act like they simply do not exist or are something they never will have to deal with. That is why 13 Reasons Why faced such backlash and why To The Bone is as well. Avoiding these issues will not make them go away. If people want to be angry with Netflix for making movies such as To The Bone then we also need to be angry with our media in general because it glamorizes weight-loss and thinness. Girls as young as elementary school have started engaging in unhealthy diets and calorie counting due to the images they see on a daily basis through our media. Marti Noxon, the writer and director of To the Bone says that the movie is based on her experience of struggling with an eating disorder and that the film is intended as “a conversation starter about an issue that is too often clouded by secrecy and misconception”. So with some warning I recommend this film to anyone interested in learning more about what it is like to struggle with an eating disorder, but not to anyone who is already struggling with body image issues or unhealthy issues about food and weight. The hope is that this film increases the conversation without increasing the risk of triggering others, but honestly I don’t know if it’s possible to have these type of conversations without anyone ever being triggered. It’s the nature of the beast. The other day I was speaking with a man in his early twenties who had nearly died from a suicide attempt. I mean, he was on the brink of death, unconscious and had to be resuscitated. I had spoken with him a couple of hours before the incident and what I saw was a young man going through a rough patch in his life, not someone who would hours later decide to end it all. After he was saved from death, I spoke with him again because I wanted to understand what had driven him to that point. I wanted to know if there was anything I had missed earlier and I wanted to learn from what could have easily turned out to be a tragedy. Several factors played a role in why this man felt his life was a failure and no longer worth living. I’m sure there are more, but this is what I gathered our conversation. Talking to this man what I learned was, that besides his pending and ongoing legal issues, he was trapped in his “egoic mind”. In our egoic mind, our thoughts are in control, not us. As many of use know, our thoughts, when left unchecked can cause us to suffer in many ways. Our minds are extremely powerful. They can catapult us into greatness or they can hold us hostage in a hell we create. If we do not control our thoughts and believe our thoughts that tell us we aren’t good enough, that this person must do this for us or that this must happen in order for us to be happy, then we will live a live full of anguish. This young man’s thoughts had not only created his depressive state, but also had driven him to attempt to take his own life. They had convinced him that he was such a screw up that his life was not worth living. Society tries to force us down similar paths, even when most of us are meant to go down very different paths. When we resist that push by society or simply don’t fit in, many of us start to feel abnormal, different or even broken. The harder we try to fit in, the more insecure, uncomfortable and unbalanced we feel. The more we resist society’s pull, the more we may feel ostracized, rejected or even unsafe. We start to compare ourselves with other people. Our peers, our siblings and even people we don’t know. We start thinking that we are not as happy as our friends appear on social media, not as successful as our brother who went to law school. In comparison, we start to feel like failures. As people we always seem to look up, meaning we always compare ourselves to those who are in higher positions. The person with the masters degree compares himself to the person with the doctorates. The person making $75,000 compares himself to the one making $100,000. The person living in an apartment compares himself to someone living in a small house and the person in the small house compares himself to someone living in a larger house. There’s nothing wrong with striving to improve yourself, but when we get locked into this type of thinking we tend to not appreciate where we are right now which keeps us from being genuinely happy. We start to think that we will not be happy until we reach the next level, and then the next level and so on. What this does is keeps us from enjoying life right now for what it is, as it is. This is the kind of thinking that caused this young man to suffer. His internal thoughts told him that despite what I saw as his successes and strengths, he saw himself as a failure. He wasn’t even close to 30 and had already given up on life, assuming that he was so off track in comparison to other people his age that he could never get back on. If we compared down sometimes, then maybe he wouldn’t feel so bad about himself. Maybe he didn’t have a house, but he had a place to stay, he wasn’t homeless. Maybe he had dropped out of college, again, but at lease he had some college under his belt. And yes, maybe he was in jail, but it was for a misdemeanor and not a felony and he was facing months, not years. Another thing that helped create the situation was that he didn’t take total responsibility for his life. As an adult, he had created nearly all the obstacles in his life, yet he wanted someone else to magically make them go away. He was hoping that his girlfriend would do certain things, that his parents rescue him. This caused him to live in a state of helplessness because he allowed other people to control the way his life was going and it wasn’t going in the direction he wanted it. Once you realize that you are 100% responsible for your life, including your mistakes, your happiness, your future and your present, you’ll realize how much power and freedom you really have. You realize that once you learn how to control your thoughts, that yes life will happen, certain events will happen, but it’s our thoughts that determine how we feel about them and our actions or inaction that will determine how we experience life. This young man is in jail. He can blame his girlfriend for his current situation, his parents, his up bringing or whatever. He can stay in jail depressed because his girlfriend isn’t answering his phone calls or waiting for his parents to stop showing tough love and come bail him out. He can be waiting forever on all of that, but the moment he starts taking responsibility and control of his thoughts and feelings, his life can change in an instant. He can say, yes I am in jail and it’s my fault. I did something stupid, how can I avoid doing that again? How can I use this time to improve myself? What lesson am I meant to learn from this? Or he can continue to blame his girlfriend and his parents, be miserable in jail and come out the same person or worse than he was before going to jail. Not taking responsibility for creating the life you want will leave you in a perpetual state of uneasiness which will keep you from ever reaching your full potential. This man, like a lot of us, has high and rigid expectations. What I mean is that he expected by his age (although he is still very young) that he would have to accomplish several things in order to be happy or successful and when that didn’t happen, he deemed himself a total failure and didn’t know how to cope with that. Suppose for example that you expected to be married by 25, have 2 kids and be living joyfully in a house on the beach. Yet, here you are at 35, divorced with no kids and living in a small apartment. If however you are attached to rigid expectations, you’ll create misery for yourself. There’s nothing wrong with having expectations, but don’t be so attached to them that when life happens and things don’t go as planned, you fall apart. There are no guarantees in life. Tony Robbins says that it’s our expectations that make us unhappy and to trade your expectations for appreciation. This is something I have been working on hard over the last several months. Trying to control or change things that are out of our control will always cause us pain. That’s part of the egoic mind. Instead, we need to learn to accept what is, embrace reality and adjust to life as it happens. When we can’t do that, we may find ourselves in some degree, like this young man and millions of others who suffer needlessly in life. For most of us, life really isn’t all that bad, but we create our own suffering. By taking control of our thoughts we can end that. If you are anyone you know are struggling with suicide please call The National Suicide Prevention Hotline: 1-800-273-8255.